1-OWNER ACURA RDX TURBO. 87K MILES, MOON, NAVI, LEATHER, REAR CAM, BLUETOOTH, PUSH BUTTON START. 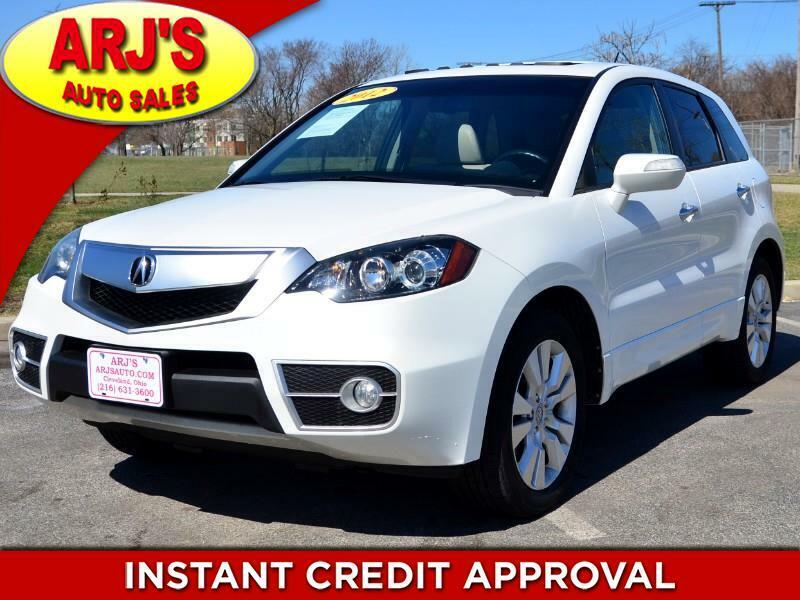 ARJ'S AUTO SALES IS PROUD TO PRESENT THIS GORGEOUS ONE OWNER 2012 ACURA RDX! CLEAN CARFAX HISTORY AND WELL MAINTAINED WITH 24 SERVICE RECORDS. THE WHITE DIAMOND PEARL EXTERIOR OPENS TO THE SOPHISTICATED TAN LEATHER INTERIOR. EQUIPPED WITH A MOONROOF, NAVI, REAR CAMERA, HEATED SEATS, PREMIUM AUDIO WITH STEREO CONTROLS ON THE STEERING WHEEL, BLUETOOTH, POWER WINDOWS, LOCKS AND MIRRORS, CD, AND CRUISE. THE 2.4L 4CYL TURBO ENGINE GIVES YOU FUEL ECONOMY AND AMPLE POWER. THE SHARP ALLOY WHEELS HAVE GREAT TIRES AS WELL. WE WELCOME ALL OUT-OF-STATE BUYERS AND TRADE-INS. AIRPORT, BUS AND TRAIN STATION PICK-UP IS NO PROBLEM!!! FOR MORE INFORMATION AND TO SEE THIS ACURA, CALL 216-631-3600.